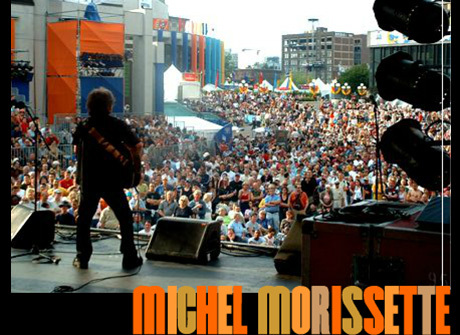 Michel Morissette is a canadian guitarist and composer based in Montreal. born from French and Italian parents. Since 15 years, he has performed important festivals in Canada, including the Montreal Internationnal Jazz Festival playing in 20 shows in front of crowds of 50,000 people. He toured in several cities in France playing concerts in Paris (Sunside), Limoges (Eclats d'émails ), Toulouse, (Mandala) and many other cities of the country. He has recorded three albums, his latest ''Nothing Toulouse '' published under the label Effendi Records was realesed in october 2014 and distributed by Naxos. This CD had many excellent revues in Canada and the USA ( 4 & 5 Stars ). '' Nothing Toulouse '' was nomminated Jazz #1 for 2014 in Quebec by the Webzine Sortiesjazznights.com. Michel is renown for his fiering playing and virtuosity, having an original phrasing and a distinguish sound. He delivers a fresh energizing and organic music, an electric Jazz, going from Hard- Bop to modern Jazz , surfing many avenues of Funk and Jazz Rock energy. He his always surrounded by the best musicians in Montreal like Al Mc Lean, Magella Cormier, Simon Coté, Normand Lachapelle, Jean Pierre Zanella, Rémi Bolduc, Jim Doxas, Simon Langlois, Jean Cyr, Frédéric Alarie, André Leroux, Michel Ferrari, Normand Deveault, Rémi-Jean Leblanc and many others. Michel is now working on his 4th CD .